My brass lapel pins have become quite a thing of late. I sold so many in the run up to Christmas that it made me realise they’re not just a one off thing. People love them and I’ve had so much fun lately making a range of speech bubble pins. Customers and followers on Instagram and Facebook have been offering up lots of suggestions for new ones and I’ve now got a long and expanding list of ideas. Watch this space! So I made the decision the other day to take them to the British Craft Tade Fair in April this year and see how they go down, alongside my jewellery. 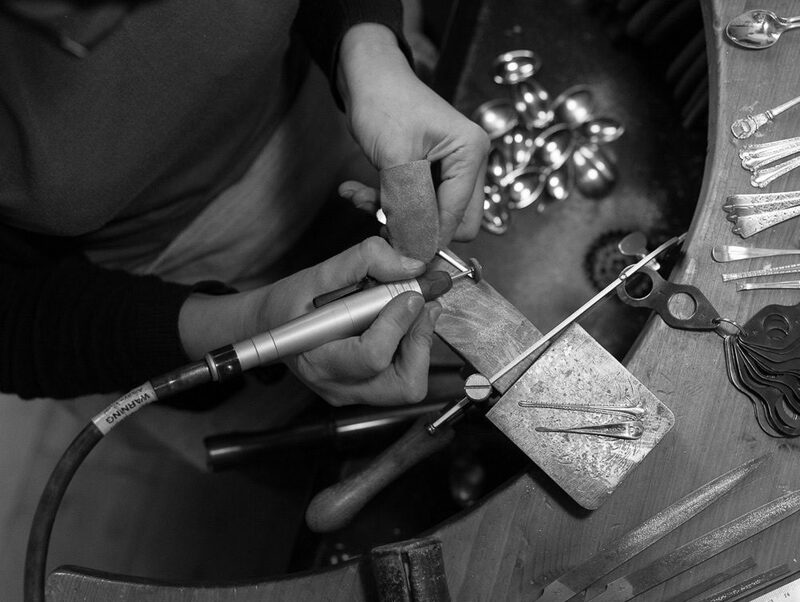 It took me a while to say yes to the idea as they’re very different from my silver jewellery collections and I made a huge decision a few years ago to just focus on my jewellery and nothing else and I’ve had so much success since I made that decision. So I’m not sure whether to start expanding and moving away from that. 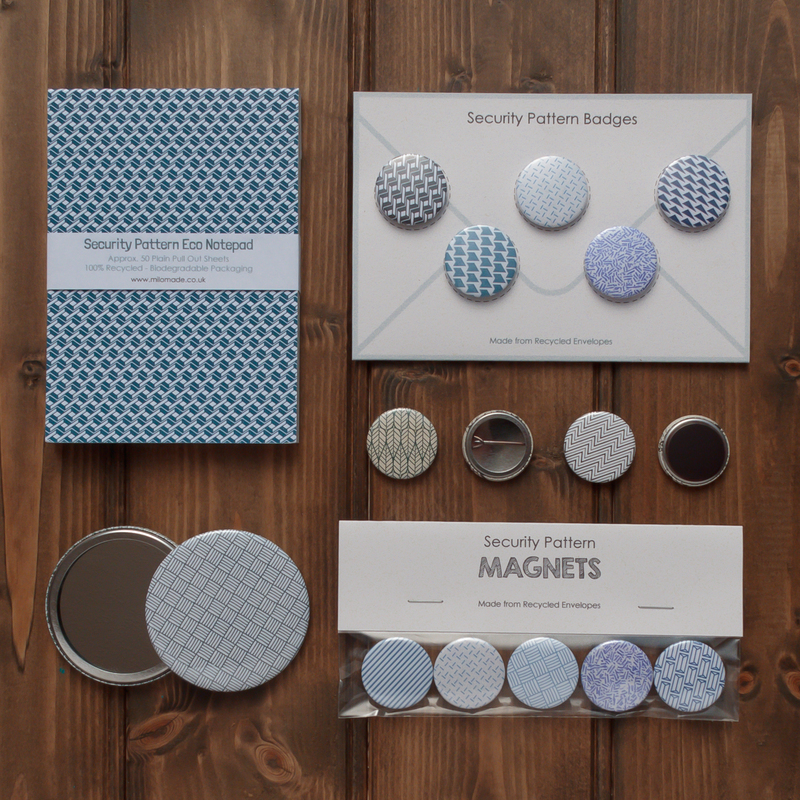 BUT I say to myself, the pins are made from recycled brass, so they fit with my business ethos. They are still kind of jewellery albeit made from a base metal and not silver. So maybe it’d be good to have something a little different, that’s new and aimed at a alternative market at a lower price point. All I can do is give it a go and see how they go down. If it works, great. If it doesn’t, lesson learnt. But after the success I’ve had with them so far, I think they’ll do well – maybe they’ll over shadow the jewellery completely! I updated my images and text on my BCTF online catalogue last night, so I guess now there’s no turning back! So now I’ve thrown that spanner into the mix, I have a lot more work on my hands than I had planned for in the run up to the trade show. But at least I know what I’m doing with regards to my jewellery so can concentrate on figuring out how to incorporate this new range of work. So much to do…I’d better get on with it. 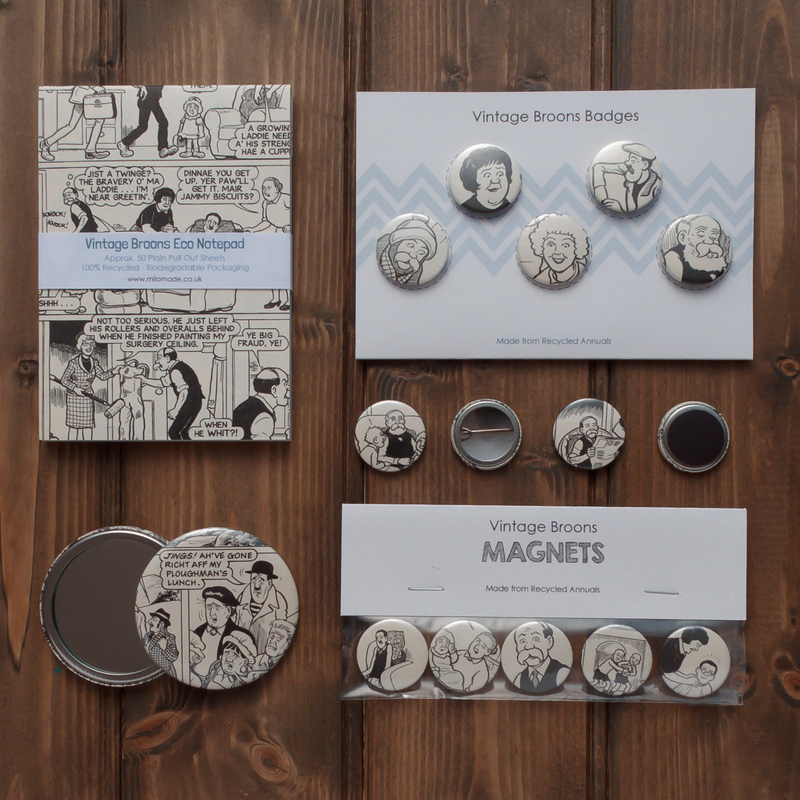 You’ll be pleased to know that I’ve managed to add the new pins to my online shop this week and I’m going to run a promotion until the end of February so read on. 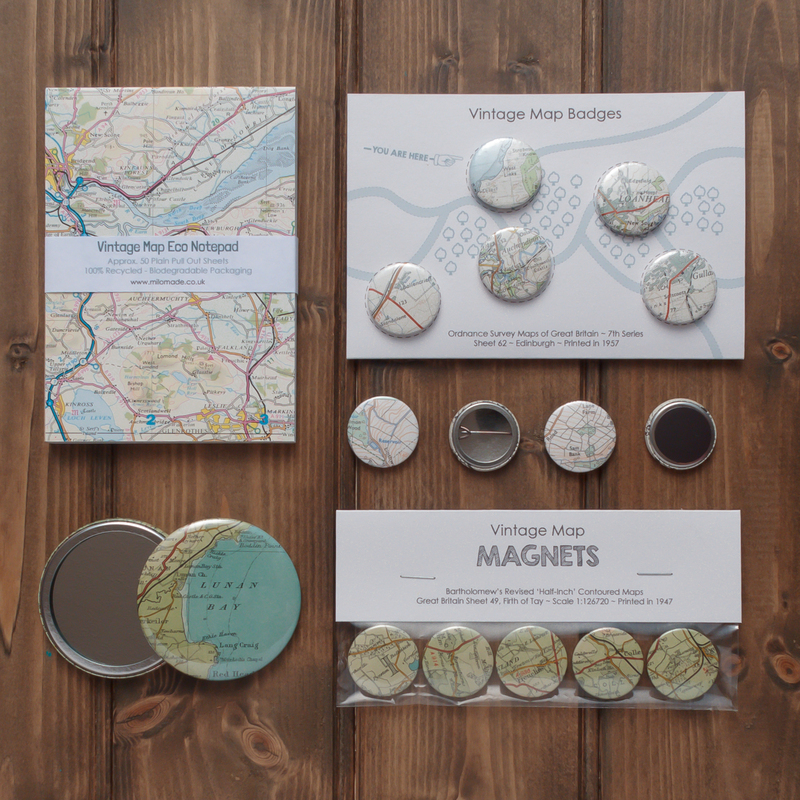 In the not too distant past I used to make a range of accessories and stationery and some of my favourite makes were a range of small notepads, badges, magnets and pocket mirrors embellished with either maps, music or comics. Well I’ve just unearthed a big box of stock that I didn’t realise I still had – see the photos above for examples. With every Top Brass Lapel Pin order placed on my website from now until the end of February, I’ll be adding a small suprise gift alongside your order. 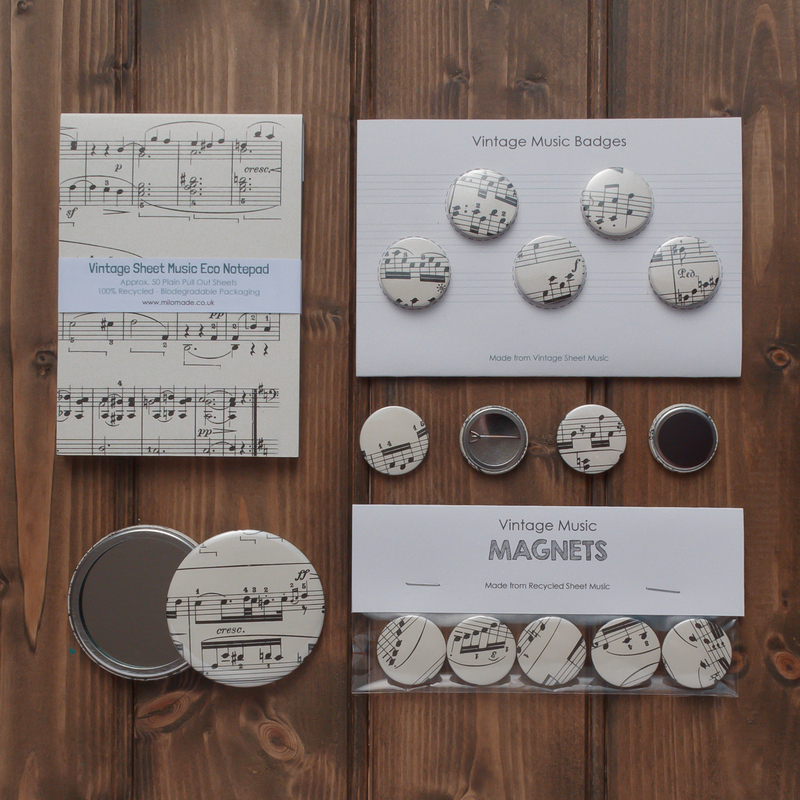 You may get a notepad, a pocket mirror, a pack of badges or a pack of fridge magnets. This entry was posted in News & Events and tagged BCTF, Brass, Brass Pins, Giveaway, Recycled Brass, Trade Shows.